Prentcombe is the smaller and more portable of our two exhibition layouts. It was built by two of our members (Royce Prentice and Graham Whitcombe (now deceased)). Building commenced in April 1989 and it was originally built to fit into a Ford Laser Hatchback. At the beginning of 2002 two more baseboards were added to make it 13 ft long by 5 feet wide (approximately 4 X 1.5 metres). It now requires two cars to transport it! The name, Prentcombe, comes from the two builders - Royce PRENTice and Graham WhitCOMBE. Prentcombe was donated to the club in 2012. Prentcombe has survived the years well but is beginning to show its age. A decision was made late last year to rebuild the layout from the ground up. The baseboards have been constructed and the next stage is to draw up a track plan and lay the track. 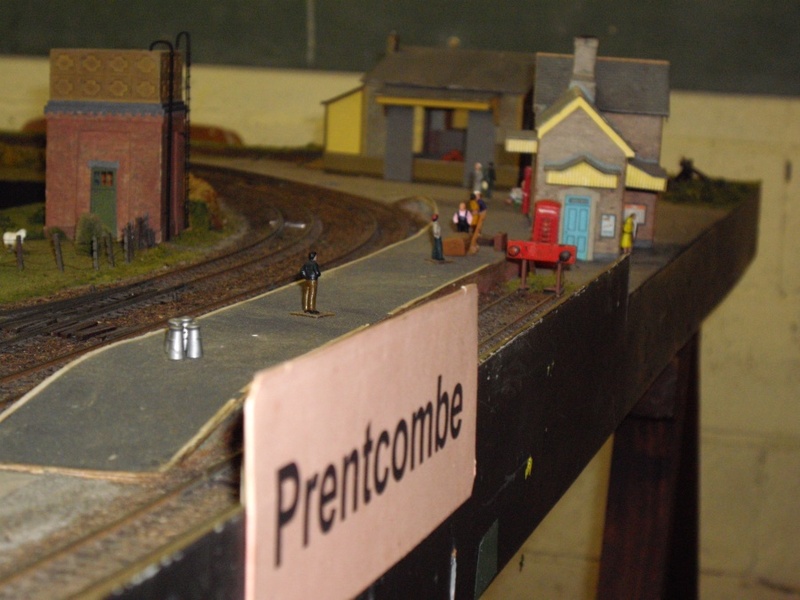 If you want to see a layout under construction come along and see (or even help) while Prentcombe is rebuilt. To see some photos of the Prentcombe rebuild go the gallery page. (Select "Prentcombe Rebuild".